“It’s the most wonderful time of the year,” says one popular Christmas song sung by 1960s singer Andy Williams. The song says it’s “the most wonderful time” because of the “holiday greetings,” “parties for hosting,” “caroling out in the snow,” and “loved ones near.” The Christmas season is one of the most magical times of the year, especially in predominantly Christian countries. There is a spirit of giving and happiness, despite whatever hardships have happened during the year. But the real reason that it’s the most wonderful time is because it celebrates the birth of our Savior, Jesus Christ. This year, calendars around the world proudly proclaim the year as 2013. 2013 years since the birth of Jesus Christ, to be precise. This system of reckoning time has been in use for thousands of years, and places the birth of Jesus Christ at the center of time. More recently, the abbreviations BC and AD have been replaced with BCE and CE (Before the Common Era and Common Era). However, the concept remains the same. The years 2013 CE and 2013 AD mean the same thing: 2013 years since Christ was born. His birth is the central event in time, and in all of history. Gordon B. Hinckley, the 15th president of The Church of Jesus Christ of Latter-day Saints (sometimes referred to as the “Mormon” Church), stated in 1999: “It is a wonderful acknowledgement of His [Jesus Christ’s] place in history that the calendar now in use throughout most the world place His birth as the meridian of time . . . every time that anyone uses a date, he [or she] knowingly or unknowingly acknowledges the coming to earth of the Son of God” (At the Summit of the Ages, October 1999 General Conference). Everything that happened before and everything that happened after is in relation to the birth of Jesus Christ. 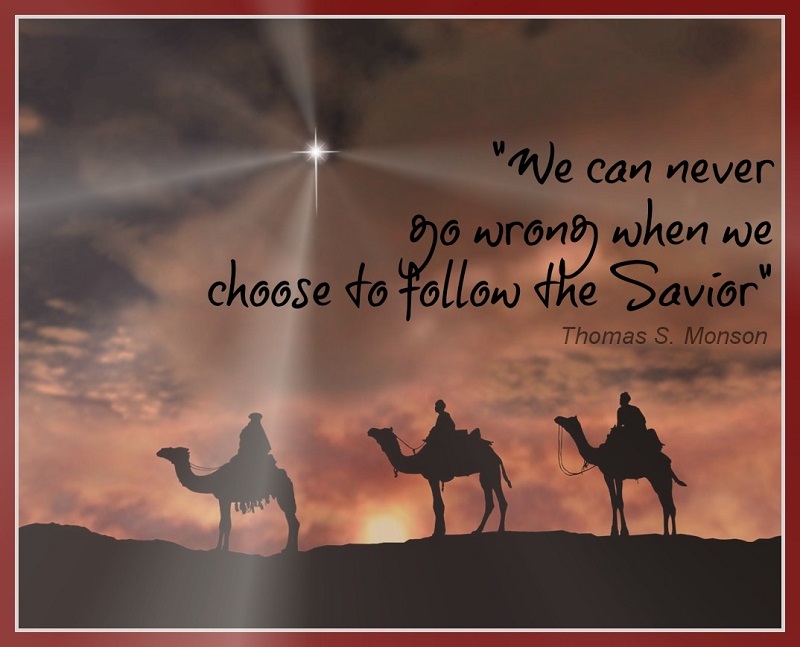 Members of The Church of Jesus Christ (Mormons or Latter-day Saints), believe, like many other Christian churches, that Jesus is the light of the world. In John chapter 8, Jesus told His disciples, “I am the light of the world: he that followeth me shall not walk in darkness, but shall have the light of life” (John 8:12). Throughout the Bible, many verses reaffirm this truth. The Book of Mormon: Another Testament of Jesus Christ is an ancient book of scripture similar to the Bible. In The Book of Mormon, a prophet named Samuel prophesied of Jesus’ birth, much like Old Testament prophets prophesied of Jesus’ birth. Because the Book of Mormon people were on the American continent, thousands of miles away from Jerusalem, Samuel gave the people specific signs that would tell them Jesus Christ had been born. He said that when Jesus was born, there would be “great lights in heaven, insomuch that in the night before he cometh there shall be no darkness” (Helaman 14:3). Samuel also spoke of “a new star” in the heavens (Helaman 14:5), similar to the new star the wise men in the New Testament followed to Jesus. The new lights in the heavens and the absence of darkness are symbolic of Jesus Christ as the light of the world. 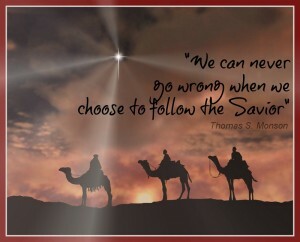 He brought the light of truth to the world and overcame the darkness of sin and death through His Atonement. Jesus Christ is the light that shines through the darkness of the world, showing us the right way to go and how to overcome the darkness of temptation and sin. Christmas is made even more wonderful when we remember that Jesus Christ’s birth is the reason we celebrate Christmas. He is the Light of the world, and when we celebrate His birth we celebrate His great gift to us of overcoming death and sin. He is the Son of God, the Redeemer of the world, and the Light of the world whose birth we commemorate and celebrate always, but especially at the most wonderful time of the year.